The cost for the court is between $20-$25 depending on the number of people that show up. Get your beach outfits ready and bring your whistles, this January's social event is going to be a lot of fun. All are welcome and you do not need to be a member to attend. Game on! 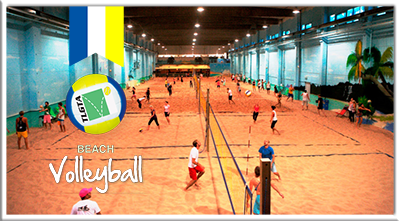 North Beach Volleyball is a great escape back into summer, and your place to keep summer alive. With the addition of 1500 tons of the best sand available, sports enthusiasts of all ages, can play beach volleyball 52 weeks of the year. Cost: Depending on the number of people RSVP'ing, the cost per person will be between $20-$25. Bring cash and you will pay at the event. Please RSVP so we have an accurate head count. We can adjust the number of courts within 72 hours prior to the event, but we need correct numbers in order to do so. 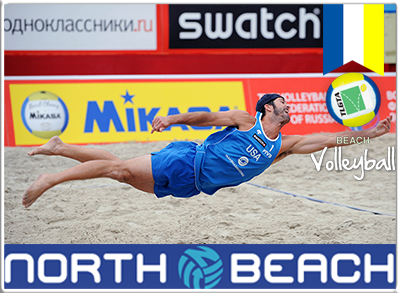 North Beach Volleyball has a fully licensed bar and serves food. Guests are encouraged (they do NOT need to be TLGTA members) and registration is required. During registration you will be asked how many guests you will be bringing. Or you Guests can register on their own since this event is open to the public.Rumour has it that there are some pretty savvy volleyball players within the TLGTA. (Where do you think all those flawless overhead smashes come from?) Come and find out who. See you at the Social!